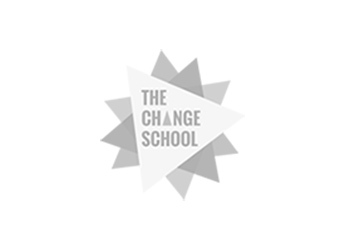 In case you missed this week’s Change School TV episode, Grace and Solonia talk about the difference between routines and rituals, and how to bring more intention to your life by creating personal rituals for life/work success. Routines are a series of habits or activities we repeatedly do without thinking. They help us to build self-discipline, build structure in our lives, and consistency in our daily life/work. They are things we learn and develop from childhood or our external environment. But not all habits and routines are good for us; sometimes we develop habits that can be harmful to our health and overall well being. Examples of negative habits are reacting impulsively to situations, negative self-talk, over-eating, over-spending, or smoking. By contrast, rituals are a series of actions or behaviours practiced with precision or in a certain way that holds special meaning to us. Traditionally, rituals were often carried out in cultural rites of passage, religious ceremonies and passed down through generations of tribes or communities. In the context of personal growth and development, rituals invite intentionality and conscious planning to the process of structuring and organising our daily lives. Instead of following routines in auto-pilot mode, creating personal rituals for success allow us to pursue our personal/professional goals with ease, purposefulness and joy. You can create rituals for just about anything related to personal wellness or professional excellence - for example: building confidence, calming your mind, regular physical activity, or better financial management. Download this week’s FREE Ritual Creation Worksheet and follow these steps to help you enhance your daily routine with meaningful rituals. Step 1: Decide what you want to focus on. Think about any aspect of your personal wellness that you’d like to improve - this may be Spiritual, Emotional, Intellectual, Physical, Social, Environmental, Professional, or Financial. It’s important not to tackle too many things at once. So pick one to start with and make a list of all the things you’d like to do in that area. Include specific tasks you’d like to do and related activities that make you happy. Keep it simple and realistic. Step 2: Determine how much time you’ll need. For every item on your list, you’ll need to determine two time frames: duration and frequency. Duration is how much time you’ll need to complete the task - for example: 30mins of accounting, 10mins of meditation, 1hr of reading. Frequency is how often you’ll need to do it - for example: daily, weekly, monthly or even quarterly. Now, group everything on your list by frequency and tally up the total time it would take you to complete your daily / weekly / monthly tasks. This will tell you how much time you need to carve out to create your personal rituals for success. Step 3: Start scheduling in your new rituals. Overloading. If you feel that you won’t have time to do everything on your list, re-prioritise by removing non-essential items and circling the ones you definitely want to incorporate. Sequencing. Re-write the items in each frequency category in the order that you will complete them. The aim is to follow this sequence each day / week / month you are practicing your ritual. Then, schedule everything into your diary / calendar / journal. If it helps, utilise task reminders on your phone or computer to remind you when you need to do what. You’ll probably need to make further refinements to your ritual practice after trying it out for the first time and figuring out what works and what doesn’t. Remember that the goal of creating personal rituals is to for you to succeed, so it has to work for you. Keep trying different things until you find what sticks. They key is consistency, so keep at it! Oh and here’s a BONUS TIP: Consider setting up a dedicated space for practicing your rituals - this can greatly increase your focus, excitement and thoughtfulness as you do them. If you haven’t already, download this FREE Ritual Creation Worksheet to help you get started.